If we are honest, there has probably been a time when most Christians have said something like, “I wish the modern Church was more like the Church I read about in the New Testament.” I’ve been guilty of this sentiment in the past. After reading passages like Acts 2:41-47; 4:32-37, if I’m not careful I’ll find myself longing for the “Good Old Days”. However, after a closer look at the churches of the New Testament I’m reminded that maybe the “Good Old Days” weren’t really that great. Especially when I read the Apostle Paul’s letter to the Corinthian Christians. It’s come to be known as First Corinthians and it’s full of messy accounts of sinful Christians that wrecked havoc on the Church that Jesus died for. How messy you ask? How about gossip, slander, division, false doctrine, power struggles, favoritism, getting drunk during communion, and a stepson having a sexual relationship with his stepmom just to name a few issues? Messy enough for you? And you thought Redeemer Church was a crazy place! 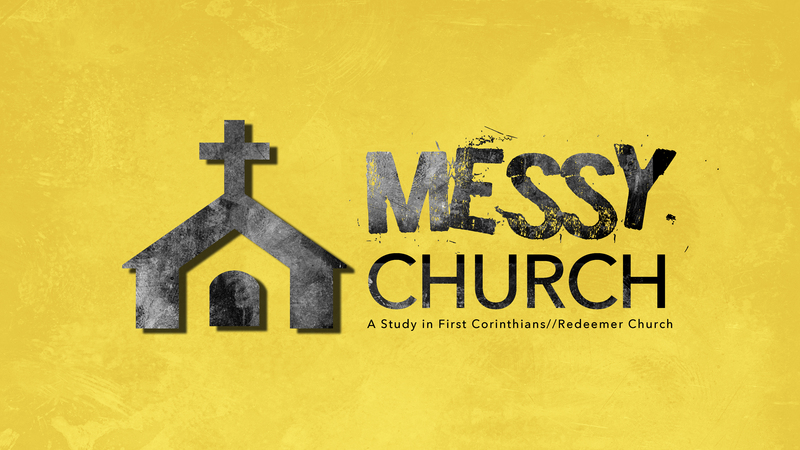 Beginning Sunday, January 29 we will begin our verse-by-verse series through First Corinthians that we are calling “Messy Church”. I want to encourage you to start the New Year off right by recommitting to faithful, regular attendance on Sundays at one of our worship gatherings. I believe God has some important things He wants to communicate to us through His word as we gather week in and week out. The Church is “messy”. What else should we expect from a bunch of sinful people? But praise be to God because His grace to us in Jesus is much greater than the biggest messes in our lives and church. I’m looking forward to diving into this incredible book of the Bible with you.